Do we need robust audio interfacing based on psychoacoustic principles of hearing? Are computational composers really creative? For human+computer music, sound has always been the output modality for the machine. Increasingly, sound is now used as the input modality in addition. When received at the microphone, the audio signal present may subsequently (i) undergo signal processing to produce transformed audible sound layers and/or (ii) be used to derive specific items of control information. While the latter procedure does not directly create sonic material to listen to, it can offer structural influence over a live performance, for instance in the organisation of time-based score following procedures (Orio et al, 2003), or in crafting fluid interactions between networks of control variables (Di Scipio, 2003). Despite its increased prevalence, there is still incomplete understanding of the microphone as a sensor for real-world signals. Specific recommendations to summarise signal properties in perceptually-relevant dimensions (e.g. Peeters et al, 2011) are based on databases of conventional instrumental sound rather than electro-acoustic sound, and thus may under-estimate the importance of certain timbral properties. Moreover, there are few methods to reliably target ‘interesting’ variations in the input signal, or to otherwise account for perceptually irrelevant signal variability arising from microphone characteristics or placement, background noise sources, or environmental acoustics. The current paper therefore asks whether a machine-listening approach motivated by psychoacoustic principles of hearing might eventually lead to a robust audio interface for performances involving acoustic instruments and live electronics, and what the advantages (or disadvantages) might be. • Di Scipio, Agostino (2003). “‘Sound is the interface’: from interactive to ecosystemic signal processing.” Organised Sound 8(3), 269-277. • Orio, Nicola, Serge Lemouton, and Diemo Schwarz (2003). “Score following: State of the art and new developments.” In Proc NIME, Singapore, 36-41. • Peeters, Geoffroy, Bruno L. Giordano, Patrick Susini, Nicolas Misdariis, and Stephen McAdams (2011). “The timbre toolbox: Extracting audio descriptors from musical signals.” JASA 130(5), 2902-2916. 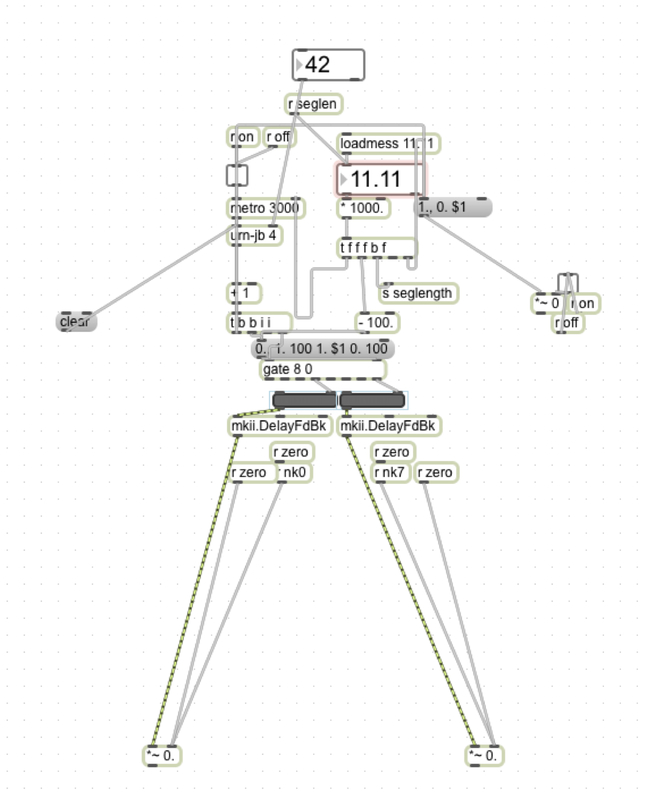 In this paper, I will be examining some of the issues that have arisen from my practice-led research within the field of electroacoustic composition. These works, although fixed-media in format, are primarily made up of instrumental recordings; these are both of directed materials and improvisations. Ivory Terrace (2013) makes use of the bass trombone, Sauntering (2013) uses the violin, Two Movements (2014) uses the concertina and Summer Anthem (2013) presents the mandolin as the sole source materials. The compositional process relies on the re-organisation of these instrumental materials into a new structure, thus creating an imagined performance. Improvisation plays a key part in human + computer music of both live and fixed-media varieties, despite being diametrically opposed to the perceived rigidity of music technology. Recent multi-channel works, as well as those of Strniša and Perkins use pointillistic spatial technique to simulate novel ensembles e.g. mandolin sextet; spatial loudspeaker arrays thus allow for instrumental combinations that would be difficult to assemble in everyday life. It seems logical to make use of music technology to enhance instruments in a way that a human cannot perform, for instance, adding notes lower or higher than are playable, time-stretching notes or having a hexaphonic chord on an instrument with four strings. However, equally pertinent is idea of de-hyper-instrumentalisation as proposed by Climent; most of the sounds within an electroacoustic should be perceived as performable, even if they are technologically mediated. This brings up the issue of whether instrumental virtuosity is seen as less necessary than technological virtuosity in human + computer music – is a well-developed piece of software or strong command of processing tools more valuable than what can be done on an instrument? 1. Particles of Accordeon, 2014. 3. Term coined with regard to Koorean Air (2010) for Violin and Live Electronics. It is not uncommon to come across the complaint that, as an academic discipline, computer/electronic music spends rather too much time discussing ‘the technology’ rather than ‘the music’. Whilst this is justified, I shall suggest that it is not a problem that is simply overcome: given the plurality of disciplinary and musical commitments at work in the current milieu there isn’t a waiting set of lingual and conceptual tools to which we can turn and start discussing ‘the music’ with any hope of widespread comprehension. The challenge seems especially acute in live electronic and improvised musicking. Whilst we may have patches of inherited vocabulary from allied practices, there doesn’t appear to be a way of getting at the musicality of what goes on without recourse to a discussion of the concrete social and material circumstances of production / reception, to the occasional frustration of those who contend that an adequate discourse should be available from examination of the sonic surface alone. Can a philosophy of technology help us here? In particular, can a Feenbergian approach that seeks to resolve the tension between abstract instrumentality on the one hand, and lived practice on the other, be of help to we researchers in live electronics who need to account for both building and playing in our practice? Feenberg’s work gets us to a point of better understanding ways in which the technical, socio-cultural and sensual are intertwined and helps us map the issues involved in getting better at discussing ‘the’ music. With some additional support from anthropology (Born, Ingold) and pragmatism (Shusterman), I suggest that we can do better but that it needs to be a cooperative effort. And they are easy to tell apart, aren’t they? In this paper I will suggest otherwise. Taking as a starting point the Extended Mind hypothesis of Clark and Chalmers (2010) and Derrida’s discussion of the nature of an artwork’s frame in Parergon (1979) I will suggest that the boundaries between people, their tools and their artistic artefacts are far fuzzier (pace Kosko 1993) than we usually imagine. I will draw on Derrida and the broadly “connectionist” philosophies of Deleuze, Guattari, Latour, DeLanda, Vitale and Hodder to propose a metaphysical space – Entangled Network Space (ENS) – where the interactions and connections between people and things can be explained and understood. I will borrow Derrida’s description of the parergon, i.e., that which perhaps is, or is not, part of the work and conjoin that discussion with a description of what I call the paraprosopon, i.e., that which perhaps is, or is not, part of the person. It is in this Entangled Network Space where our ever-shifting prosoponal encounters with the ergonal things in the world ultimately have meaning. • Clark. A. and D.J. Chalmers 2010 (in Menary, R. (ed.) 2010). “The Extended Mind” The Extended Mind. Cambridge, Mass: MIT Press. (27-42). • Derrida, J. 1979. “The Parergon” October. 9. 3-41. • Csikszentmihalyi, M. (2008). Flow: the psychology of optimal experience. HarperCollins. • Cocker, E. (2014, January). Live notation – reflections on a kairotic practice. Performance Research Journal 18 (5). • Collins, N. and A. McLean (2014). Algorave: A survey of the history, aesthetics and technology of live performance of algorithmic electronic dance music. In Proceedings of the International Conference on New Interfaces for Musical Expression. • Collins, N., A. McLean, J. Rohrhuber, and A. Ward (2003). Live coding in laptop performance. Organised Sound 8 (03), 321-330. • Greasley AE; Prior HM (2013) “Mixtapes and turntablism: DJs’ perspectives on musical shape”, Empirical Musicology Review. 8.1: 23-43. • Small, C. (1998, June). Musicking: The Meanings of Performing and Listening (Music Culture) (First ed.). Wesleyan. In the last few decades, the introduction of computers in the compositional process has radically changed the music landscape. 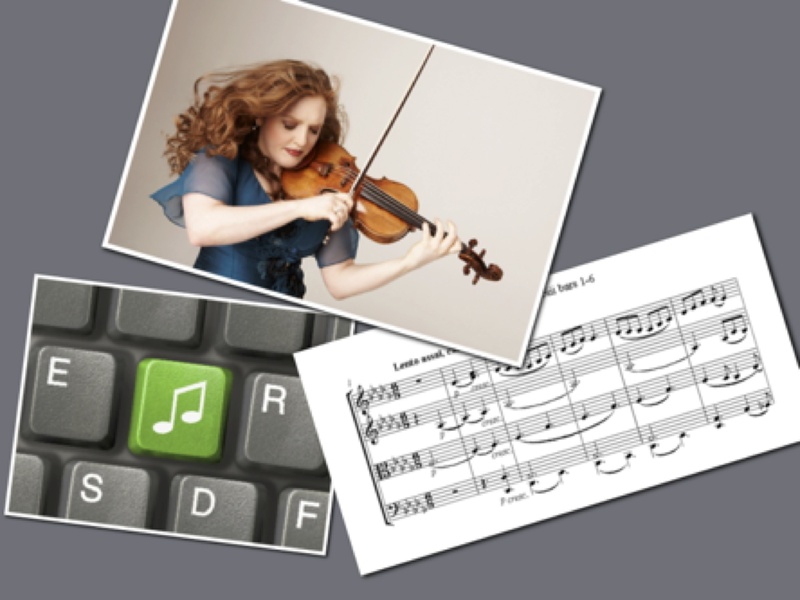 Computers have been used as a means to support composers by providing novel musical ideas. The interplay between machines and humans has led to new hybrid creative systems which transcend the traditional notion of composer. A more radical way of using computers in music completely removes the role of humans from the generation process. Indeed, there already are computational systems capable of generating complex pieces autonomously. For example, E​MI is able to convincingly create music in the style of a target composer. Iamus composes orchestral contemporary music; and some of its works have been recorded by the London Symphony Orchestra. The development of these artificial creative systems entails a number of philosophical questions that have not yet been answered. Can we define these systems as creative? If so, what are the features which make them creative? Also, should artificial composers be constrained to the generation of humanlike music only? What will be the effect of computational systems on music in the long term? Although there are several theories in philosophy and psychology which aims to explain the compositional process in music, none accounts for the presence of artificial creative systems. In this paper, I answer the previous questions by introducing the concept of G​eneral Creativity.​ I use this notion as a basis to build a formalised theoretical framework which provides the necessary tools for: (i) univocally describing any music creative agent (i.e., human and nonhuman); (ii) studying societies of music creative agents, and (iii) characterising different forms of creativity. I also argue that by letting artificial systems explore new musical styles which go beyond human comprehension, we can derive a better understanding of the rules governing human music.